Mobile Casino Apps are available on most Androids, iPads, iPhones and Blackberries. Playing online casino on your tablet or mobile device has never been that simple, with the download of the software a very straightforward matter. Scroll down to select the app you want to install. Now you can follow our instructions which take you to the specific page on your chosen casino’s website, where you can download the app. While iPhone users have no problems downloading and installing various mobile casino apps, things are a bit more complicated when it comes to casino apps for Android. The biggest reason for this is the fact Google Play doesn’t allow casinos to feature their apps in the store. Google has a strong anti-gambling stance, which makes life slightly more difficult for Android users. That said, installing casino apps on an Android phone is relatively easy. Edit: Some casino apps are now available on the Google Play Store, it’s advisable to check with your chosen poker app to see where is best to download it. Just like all their other products, bet365 delivers high quality mobile casino games for Android and iPhone devices. The bet365 casino app lets users play all the kinds of games you would find on mobile casinos all in one great package. 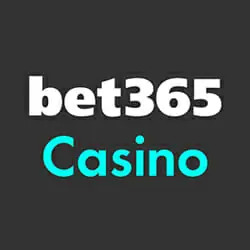 Head to our bet365 casino page to see how we downloaded the app. Bonus: Up to £100 New Player Bonus! 32Red are one of the leaders in online casino games and the app gives you all the best features on your mobile. Play all your favourite games like Dragonz, Premier Roulette, Lost Vegas and many more. BONUS: Try 32Red mobile today and claim a free £10 bet with no deposit required. Paddy Power have won some awards in the casino industy and this quality is shown in their app. Playing casino games with Paddy Power on mobile makes for a great experience wherever you are. Take a look at our guide for all the great features and promotions. Downlaod the Ladbrokes mobile casino app on Android or iPhone to play all the latest slots and casino classics. Ladbrokes have a whole suite of betting apps, you only need to create an account to access them all! New players can also claim whatever bonus is on offer when you sign up on the Ladbrokes mobile website, before downloading the app. 888 Casino offers a great new player bonus on mobile. With the app being well developed and offering a wide range of enticing games, it’s hard to find fault. Give it a try today and see how much you enjoy 888’s mobile casino games on Android. New players only. £88 is granted in FreePlay (FP). FP must be claimed within 48 hrs of receiving the email and expires after 14 days. FP wins are credited as bonus and capped at £15, exc. JP win. Bonus wins are capped at £500. To withdraw bonus & related wins, wager 30 x (bonus amount) within 90 days. Wagering req vary by game. This offer may not be combined with any other offer. Withdrawal restrictions & full T&Cs apply. Start playing Betway Casino on any Android or iPhone mobile device. With a great collection of slots and tables games you wont be bored. You can also claim the great Betway signup offer and ongoing promotions. Betfair Casino offer a huge £400 sign up bonus for anyone who wants to play on slots, plus 100 Free Spins (New Customers Only. 18+. T&Cs Apply. Wagering Requirements Apply). Sign up with Betfair and claim your bonus, then you can download the Betfair casino app on Android or iPhone and start to play. Download the Casino.com mobile app to play slots and live casino games. Along with ongoing promotions you can get a new player signup bonus to start you off. William Hill are one of the longest running bookies who ventured into the online space. They now offer a great range of apps for a great mobile betting experience. Download the William Hill Casino Android app now and start playing. A perfect addition to Sky’s app collection, Sky Casino lets you play all the same desktop casino games right on youur mobile. Whether you’re looking for Live Dealer Roulette, online slots or other casino classics like Blackjack, you’ll find them all here. In only a few minutes you will be on your way to experiencing the thrill and adrenaline of real-life land-based casinos, minus the hassle of dressing up, of course! There are a lot of great Casino Apps from online bookmakers but we’ve selected 5 with great signup offers so you get at least double your money when you create your account! The first step is locating the app. Since you can’t find it in the store, you’ll usually need to visit the main casino site and find out how to download the installation package. You can find the links above to the casino’s website and instructions for how to install their app. For the most part, you’ll be able to either scan a QR code, receive a link in a text message sent to your phone number or download directly from the casino’s website. Then, you will need to adjust your phone’s security settings to allow installation of apps from “unknown sources.” Once you’ve completed this step, you can simply tap on the app package, and the installation will start, just like with any other app. Within a couple of minutes, you’ll be ready to jump straight into the action and play your favourite casino games. Which Mobile Casino Games are Available? The most important thing for online casino players, apart from being able to fund their accounts and request withdrawals, is the availability of games. A full-scale online casino will usually give you access to hundreds of online slots, various table games, and even live dealers. Luckily, mobile casino apps these days don’t lag behind in this regard. If you are into table games, casino apps for Android will make it easy for you to play some blackjack, roulette, craps, baccarat, as well as some other games you might be a fan of. Mobile casino apps feature adapted versions of these games so you can thoroughly enjoy them on your portable devices. Smaller screens will not influence your overall experience, as online casinos always come up with innovative ways to create user-friendly interfaces for their mobile apps. Online slots are easily the most popular group of online casino games. This popularity has transferred to mobile casino apps as well. Hence, the best casino apps out there will let you choose between dozens, if not hundreds of fun-to-play mobile slot machines. You’ll even be able to win some serious money by playing progressive jackpot slots like Mega Moolah. Finally, thanks to modern technologies, online casinos can bring Live Casino experience straight to the screens of our Android devices. While this simply wasn’t possible a few years back, today players from all over the globe can enjoy amazing Live Casino experience playing from their mobiles and tablets. During the past year or so, casino game developers have come up with some truly breath-taking solutions for live mobile play, taking things to the next level. As you can see, casino apps for Android will let you enjoy a broad range of casino games. Regardless of your taste, you are likely to find something to keep you busy and provide you with some hours of fun. Mobile casino apps let you enjoy the full online gambling experience. You’ll be able to play just for fun, but you can also play for real money, just like with the desktop sites and software. With a variety of games and stakes available, this means you could win some serious money while passing some time playing from your Android phone. If you ever need to reload your account or want to withdraw some or all of your winnings casino apps for Android offer a lot of options. The best casino apps will let you use credit and debit cards (Visa, Maestro, MasterCard), e-wallets (Skrill, Neteller, PayPal, WebMoney), Paysafecards, direct wire transfers, and more. If you want to use a specific payment method it’s best to check with the specific casino first to see if it’s a service they offer. Please note: The information provided below is based on personal experience and our personal opinions of various apps we have tested. This is a general guide, but if you’re looking for specific information on a particular app, check with the bookie. How can I know if a mobile casino app will work on my device? If you have an iPhone or Android phone that’s not very old, the odds are most mobile casino apps will work just fine. Apps by most online casinos support a variety of iOS and Android operating systems, as well as many different devices like the Samsung Galaxy, Google Nexus, Sony, LG, Motorola, etc. Is there a difference between a casino app and mobile casino site? There are usually some differences between casino apps and mobile sites. Generally speaking, mobile casino sites will feature a bigger number of games to choose from. However, the best casino apps out there will often feature a rather impressive library of games. For the most part, mobile casino apps are safe, secure, and will cause no problems on your device. The best casino apps out there use the same security protocols used on their main sites, so you have nothing to worry about in that regard. As for the functionality, apps developed by reputable online casinos usually offer a great user experience.